Who doesn’t love cookies? We sure do! In fact, it may border on obsession. So, we thought we’d celebrate the re-opening of Sweet Revenge Bake Shop at a new location we’d have them bake us some fun cookie treats to enjoy! 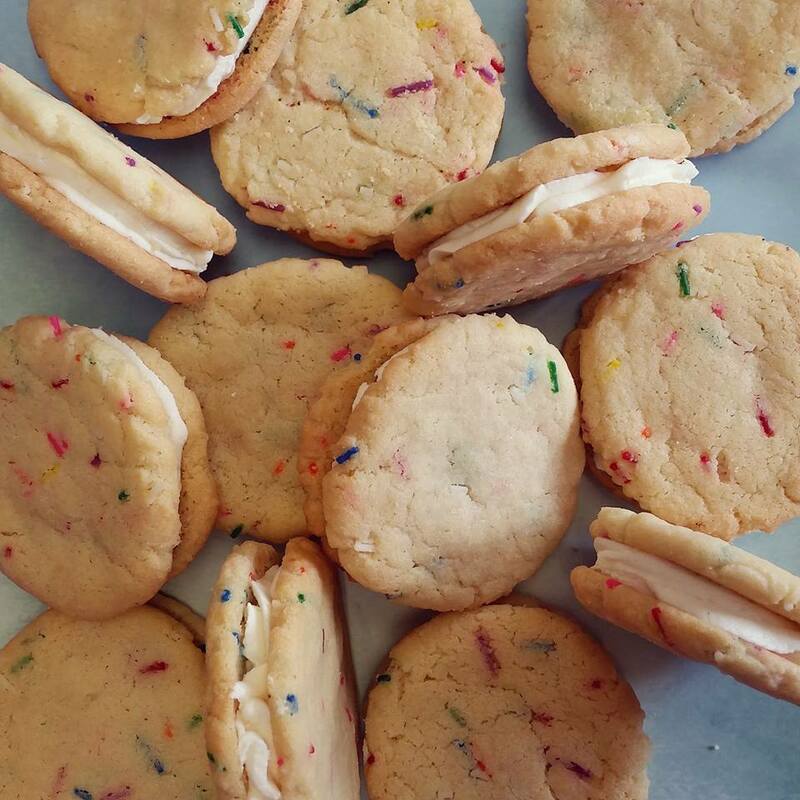 Owner Saskia Scott was nice enough to teach us how to make these Funfetti Cookie Sandwiches, which are a hit with any cookie lover and just so happen to be a new item on the Sweet Revenge menu. Can things get more fun than a Funfetti cookie sandwich? We think not! Mix together with a whisk the flour, salt and baking soda. Using an electric mixer, cream butter and sugar in a large bowl until light and fluffy. Beat in vanilla and egg. Add flour mixture and beat until smooth. Blend in milk. Mix in sprinkles until evenly distributed. Drop by teaspoon about 3 inches apart onto greased baking sheets. Flatten with bottom of glass that has been dipped in sugar. Bake for about 8 minutes or until edges are lightly browned. Cool on rack.